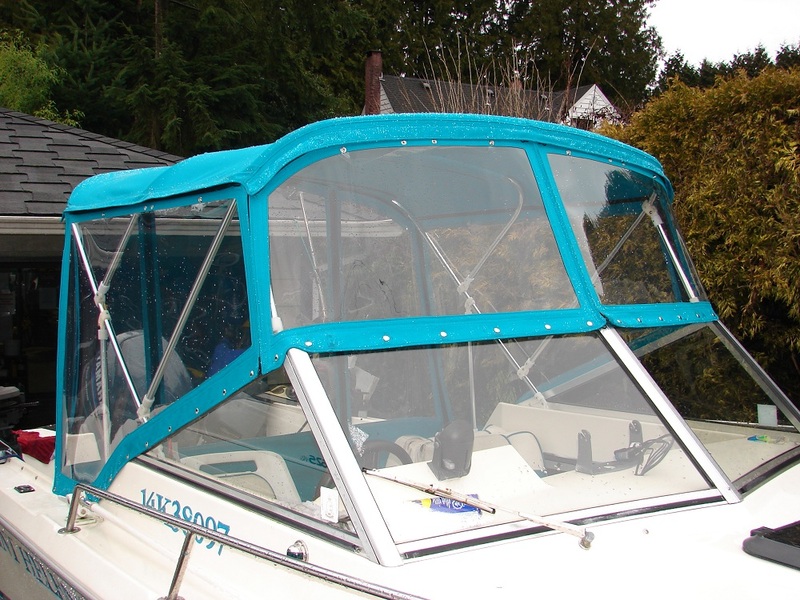 New Canvas Boat Top in Sunbrella (TM) and Strata Glass (TM). 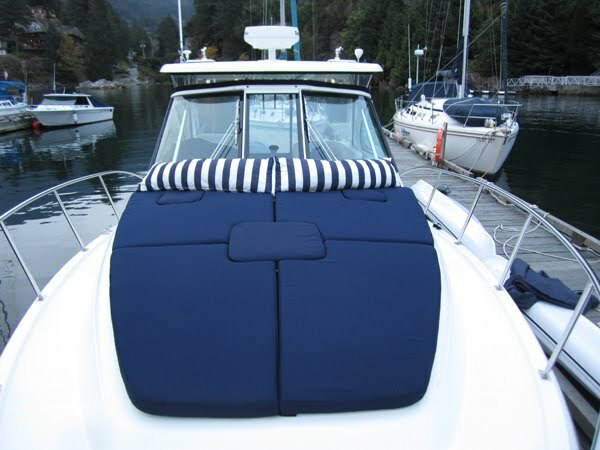 New Seating (foam + covers) Backrest-Cushions and Seat-Cushions for Boat Interior in Furniture Sunbrella (TM) custom chosen. 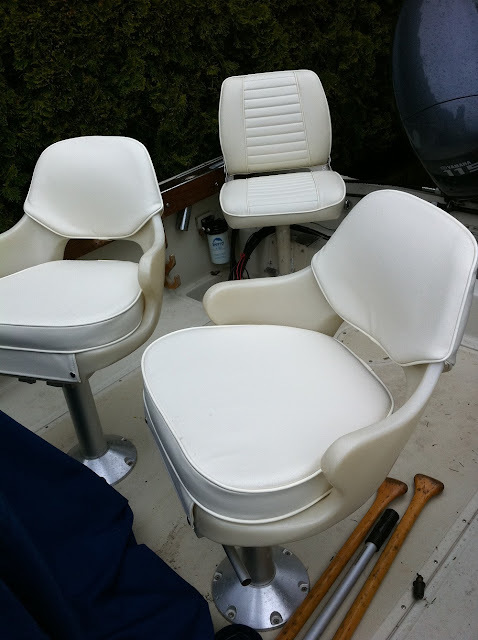 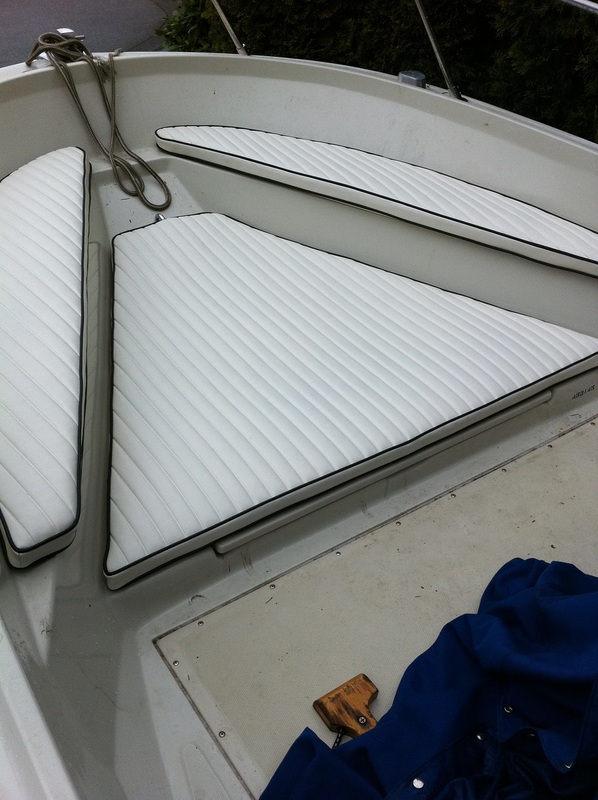 Custom Boat Seat-BenchSeat section in Heat-Sealed Vinyl. 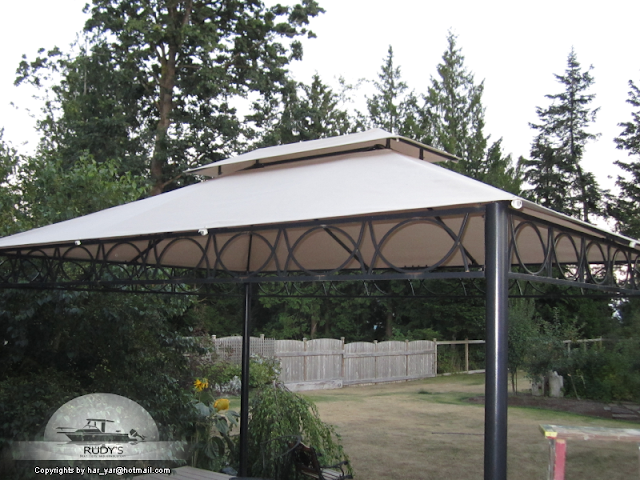 Aluminum Frame and Canvas Enclosure in Sunbrella (TM) and StrataGlass (TM). 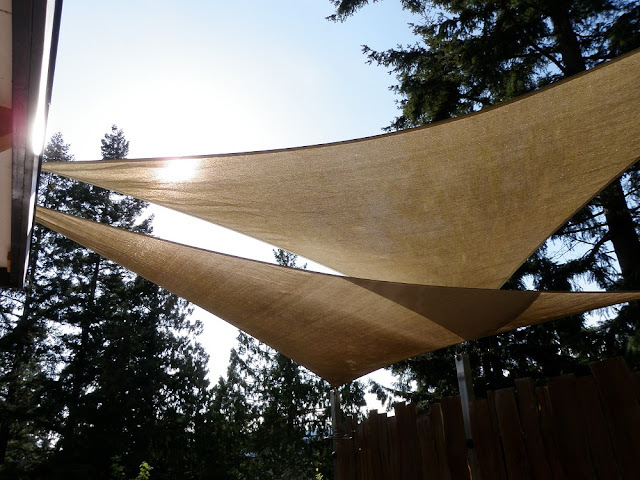 Awning in Sunbrella (TM) Canvas. 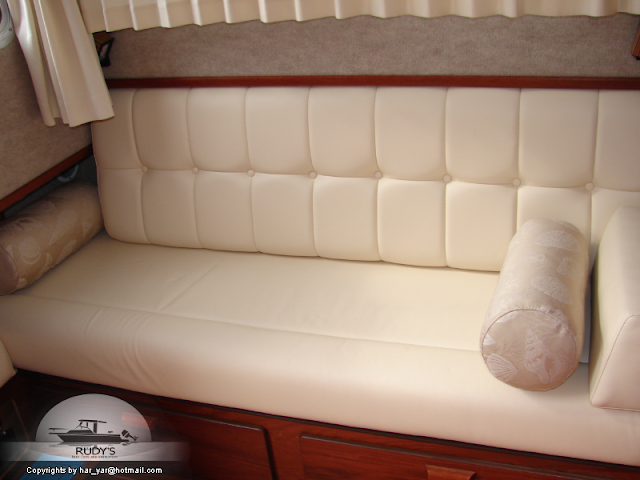 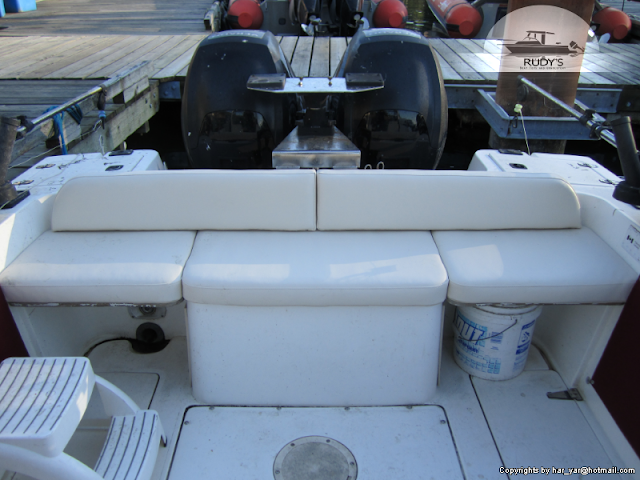 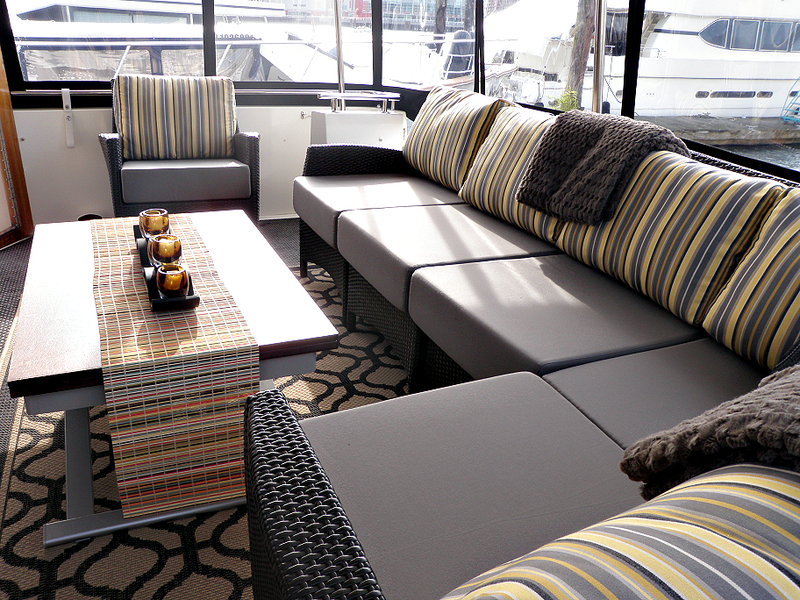 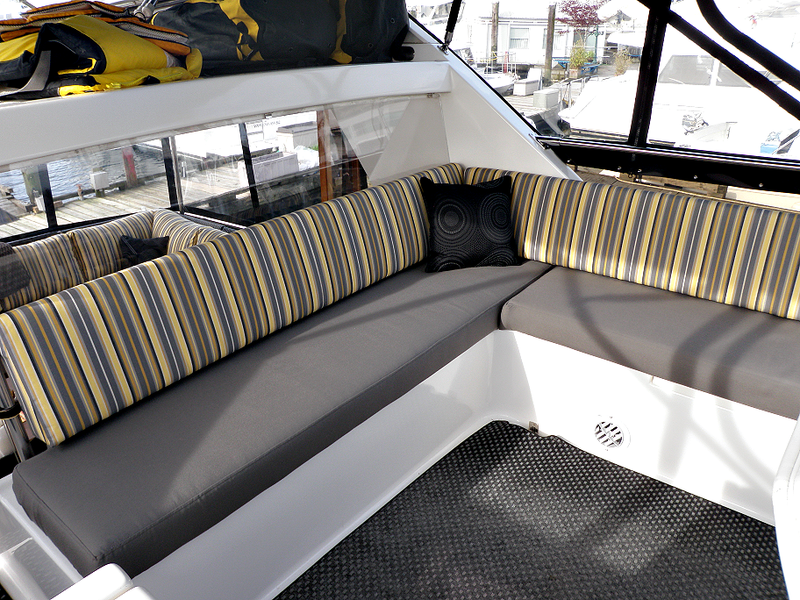 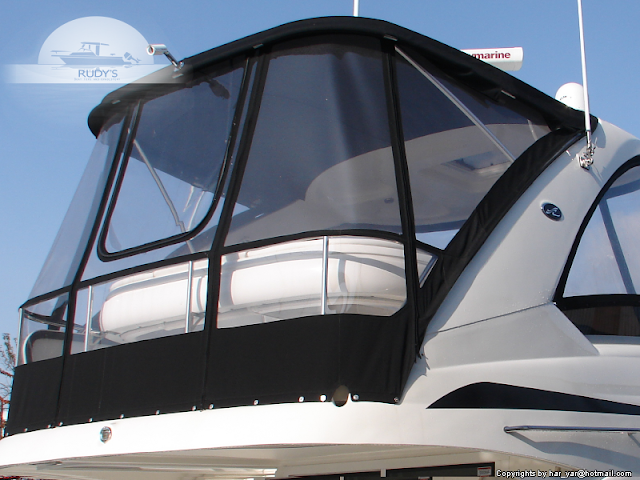 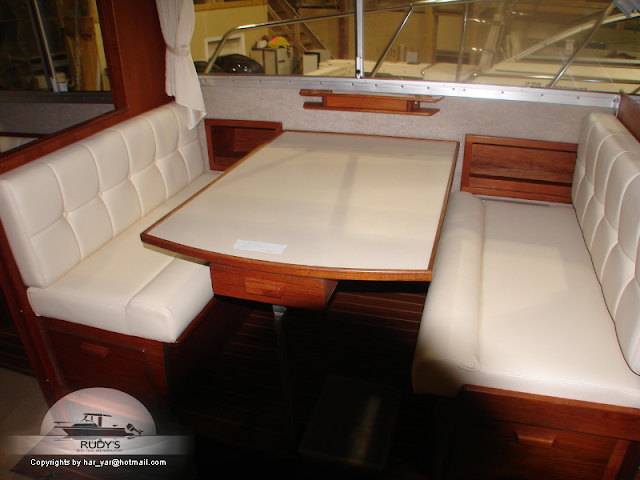 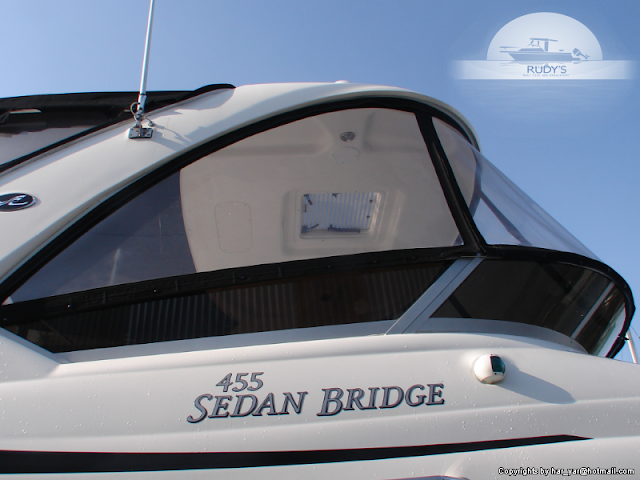 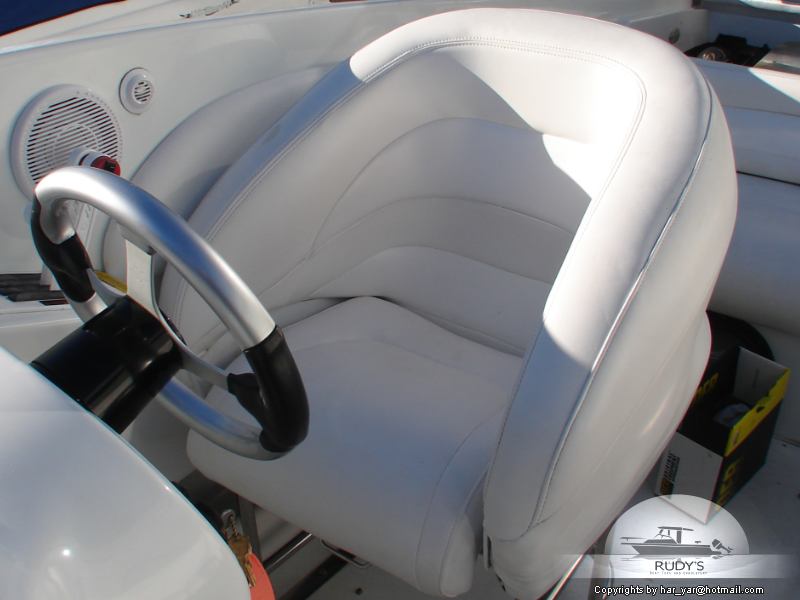 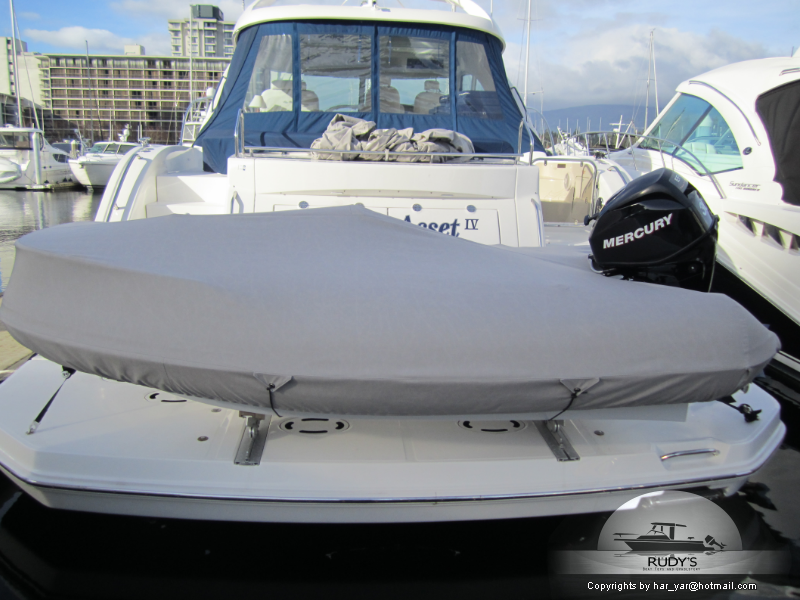 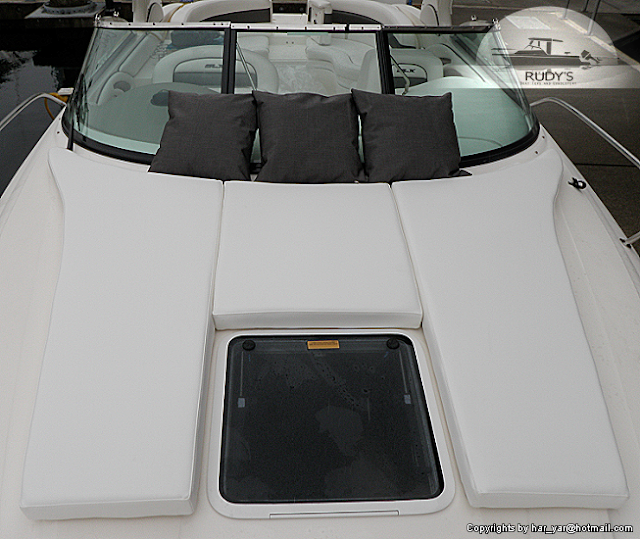 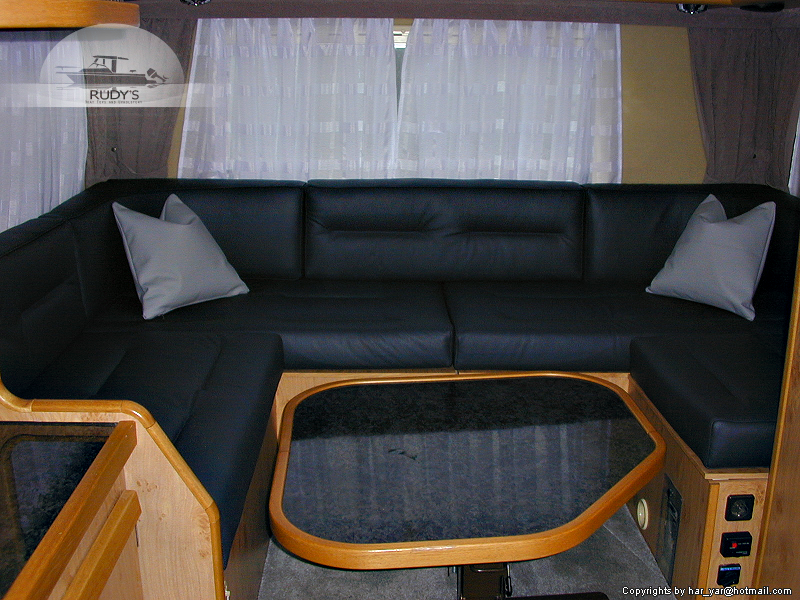 Custom Bow Cushions in Softside(TM) Marine Vinyl. 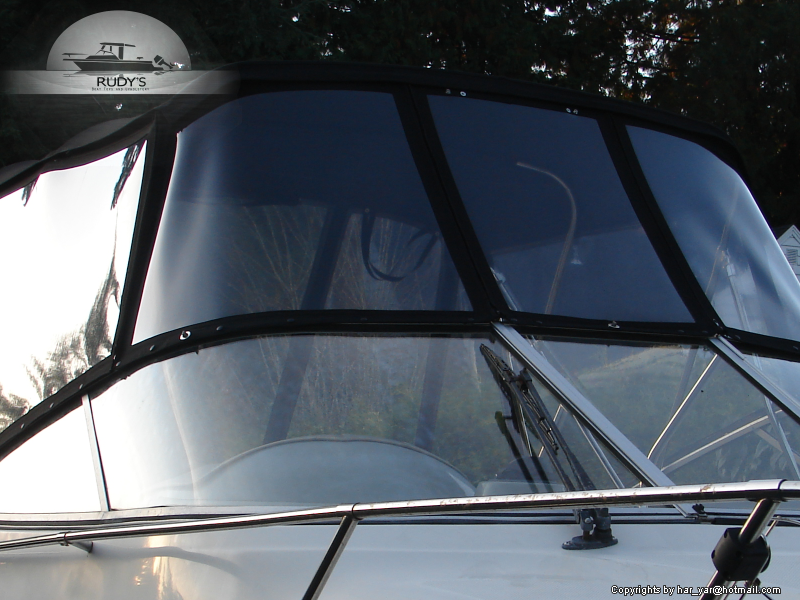 Sailboat Dodger in StrataGlass(TM) and Sunbrella (TM) Fabric. 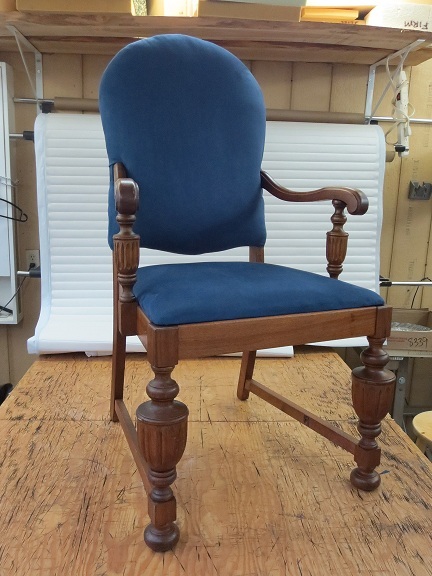 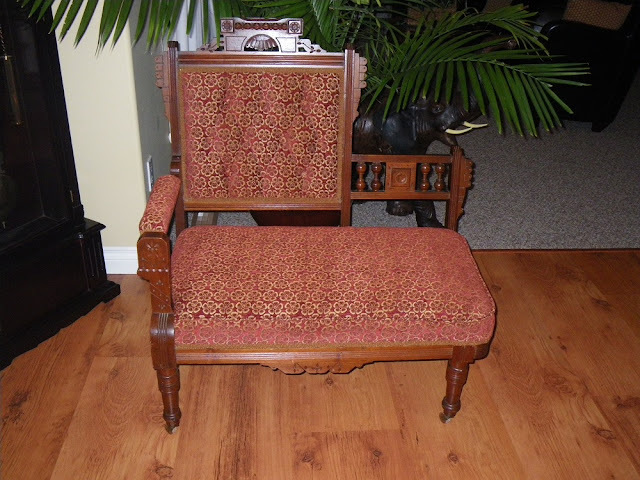 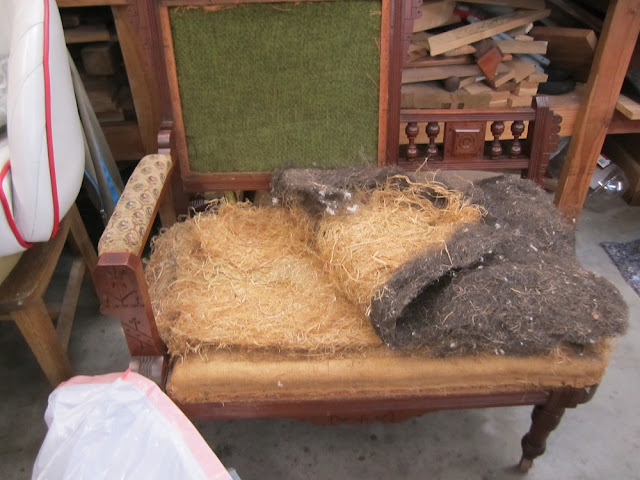 Covering of Backrest and Seatbase. 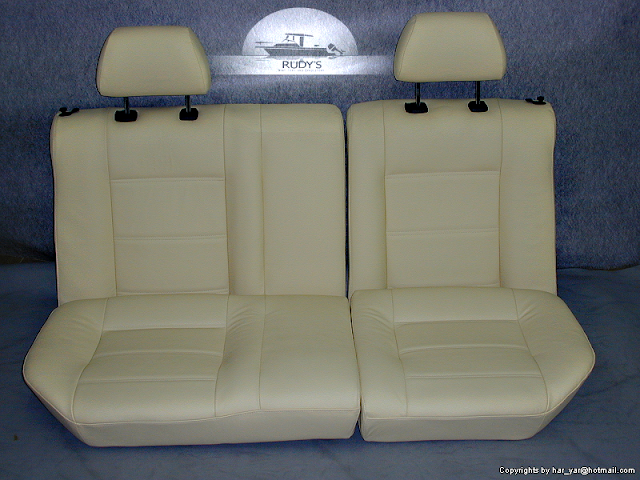 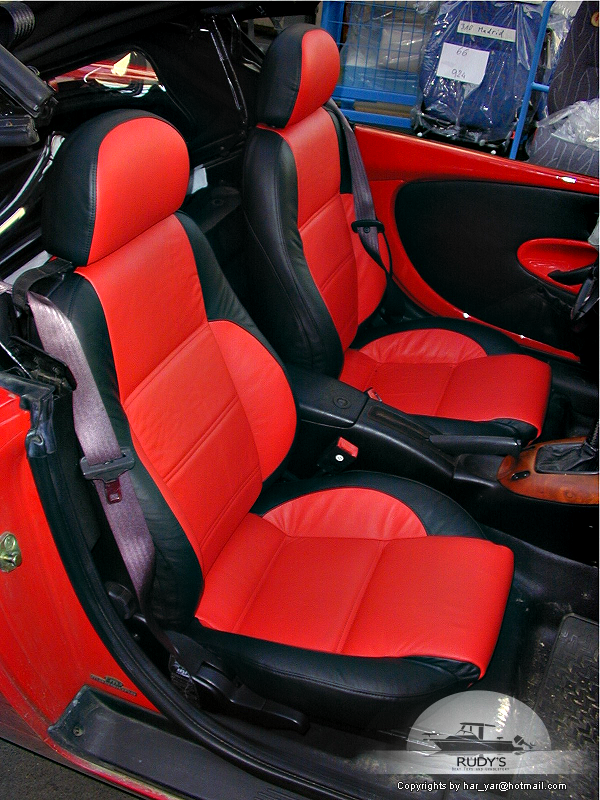 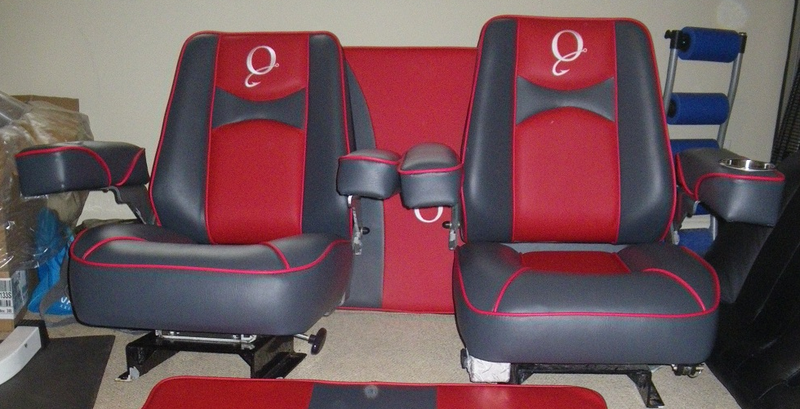 Complete renew of car upholstery. 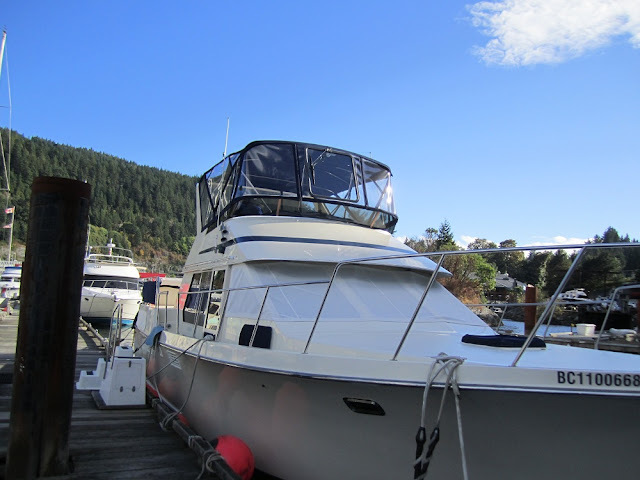 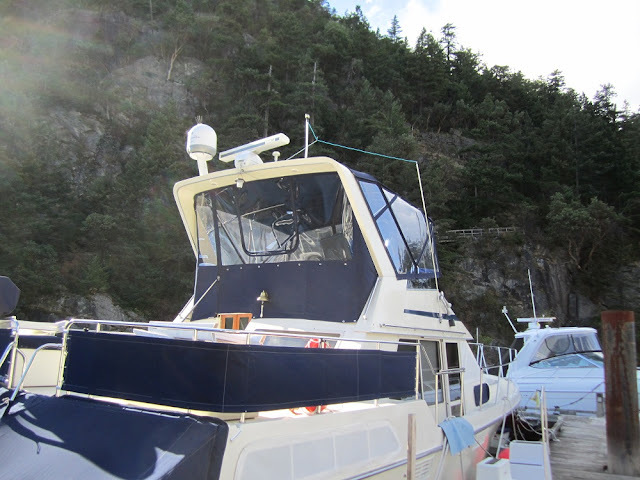 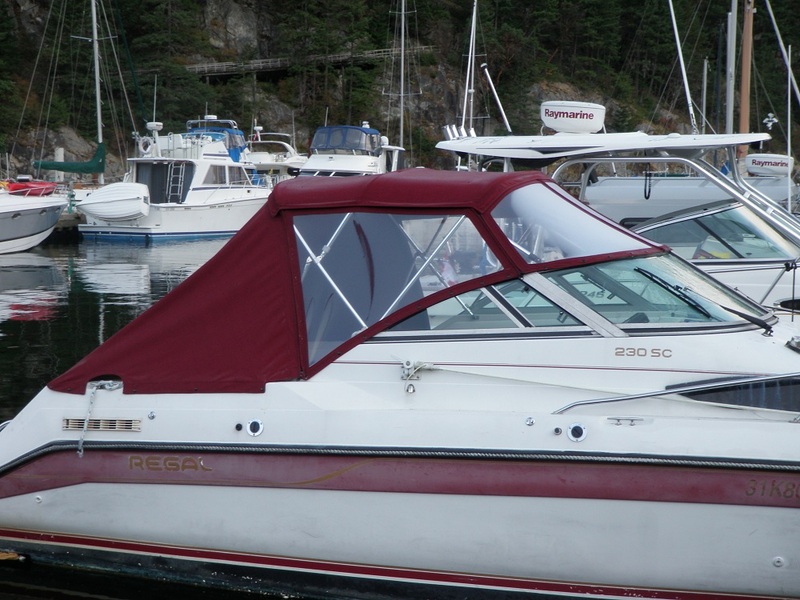 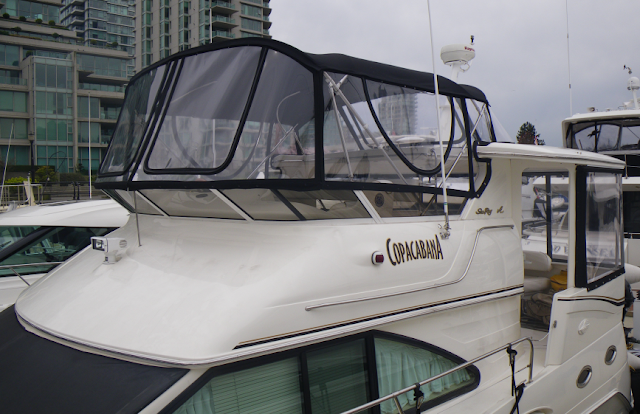 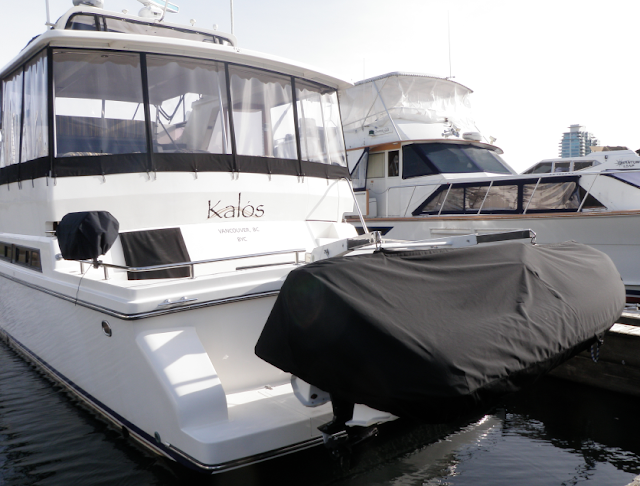 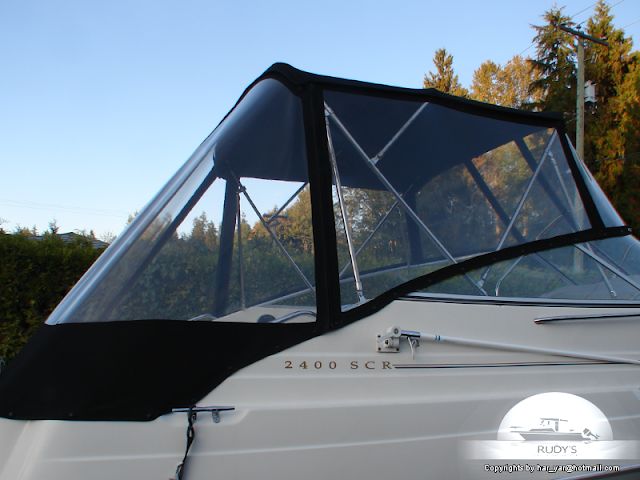 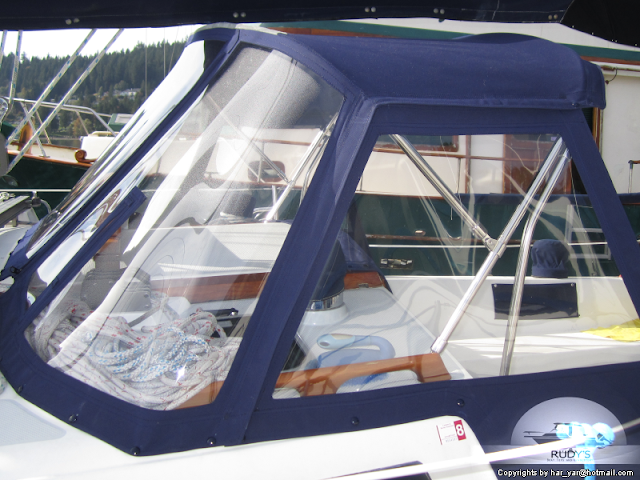 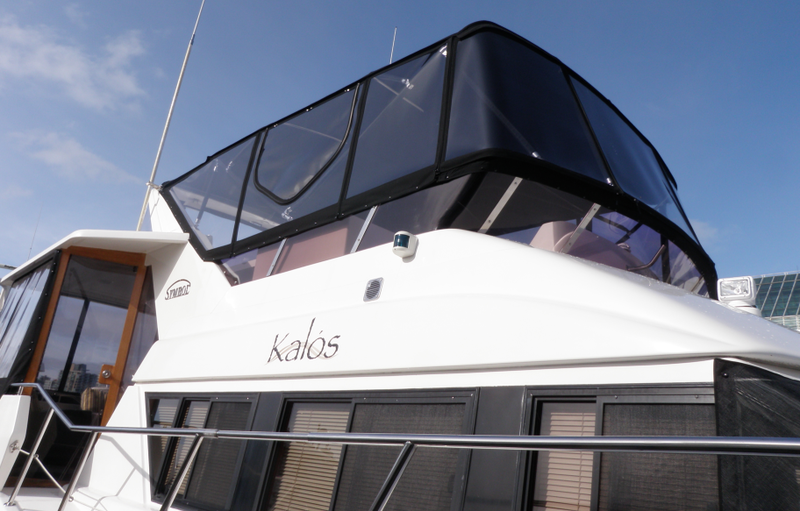 Custom Regal 230 SC Canvas enclosure in Sunbrella (TM) Marine Canvas. 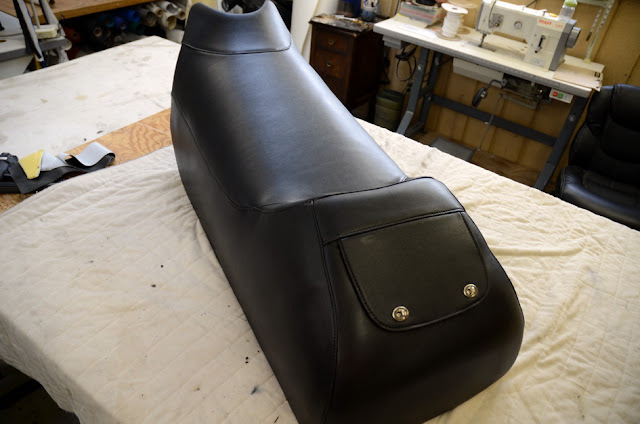 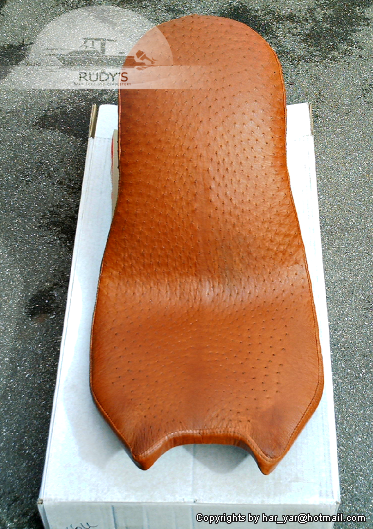 Custom Motorcycle Seatcover in real Ostrich Leather. Custom Bow Cushions in Sunbrella(TM) Fabric. 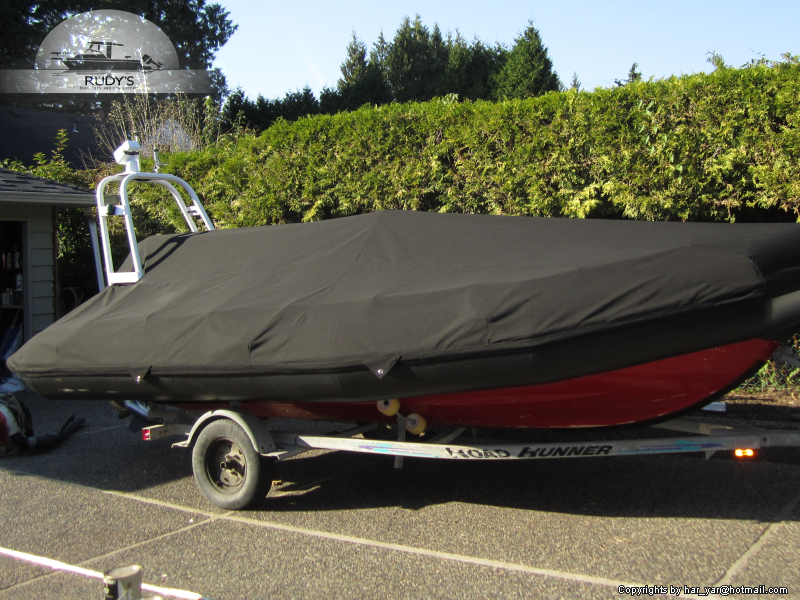 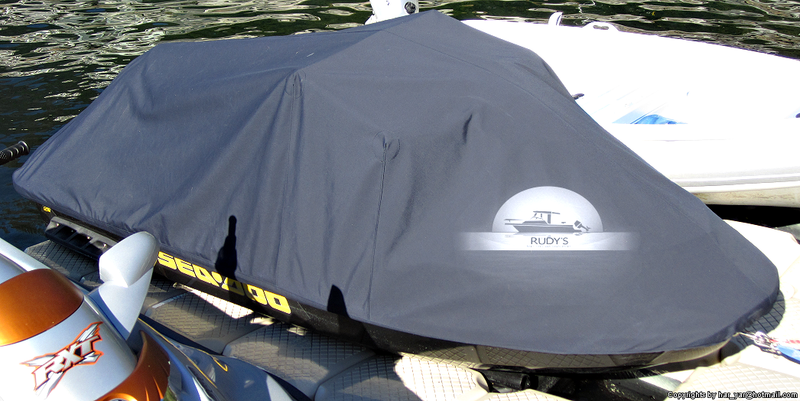 Custom Dinghy Cover in Sunbrella(TM) Marine Canvas. 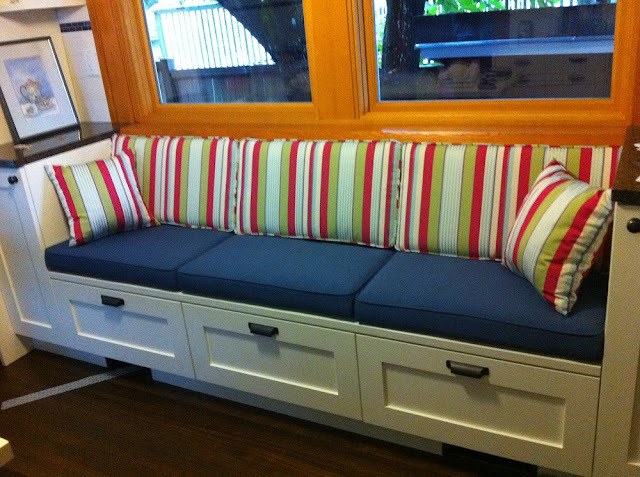 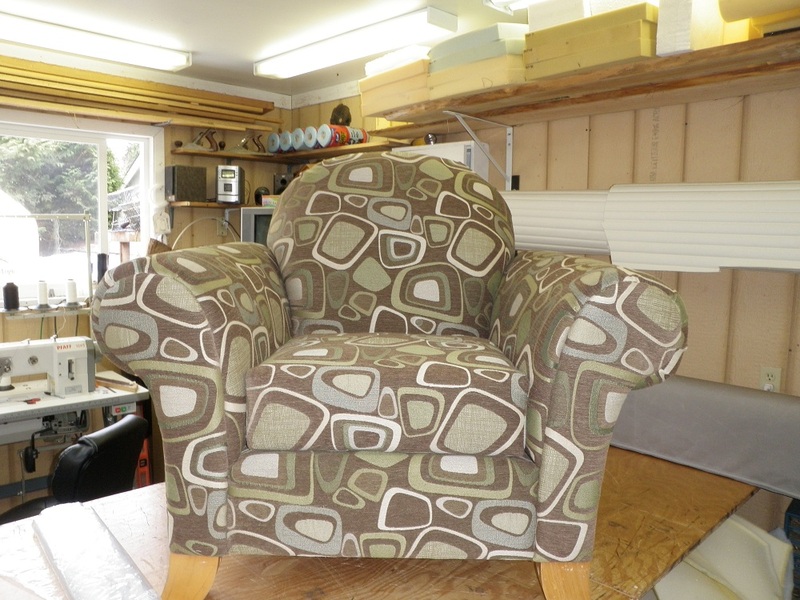 Custom Kitchen Upholstery in Sunbrella(TM) Furniture Fabric. Stainless Steel Framework with Sunbrella(TM) & StrataGlass(TM) Enclosure. 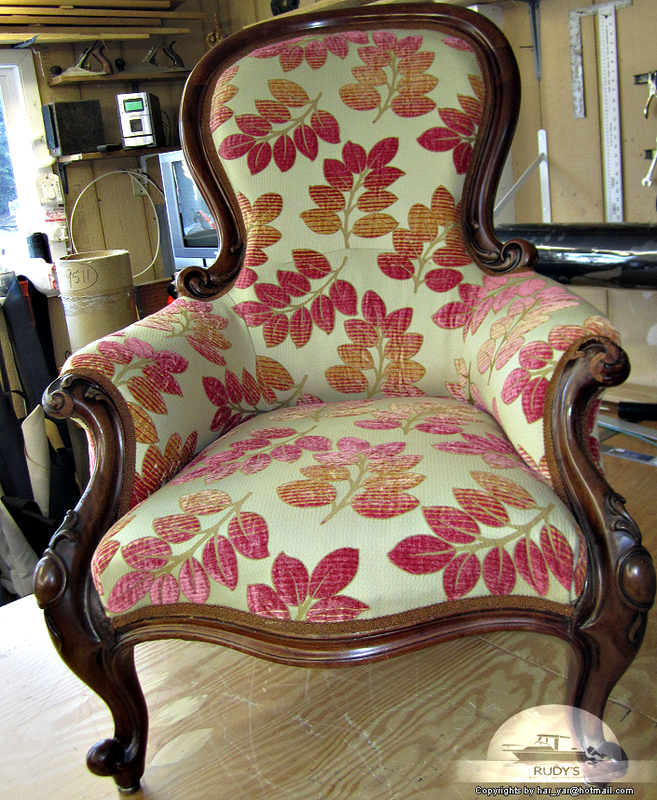 Replaced ancient cushioning and Fabric with brand new high quality materials. 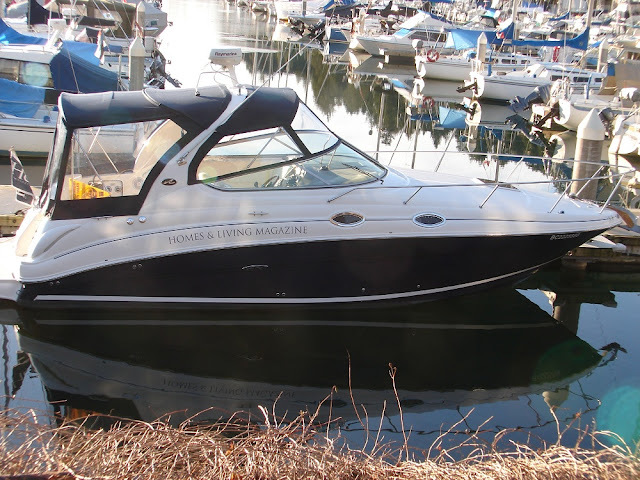 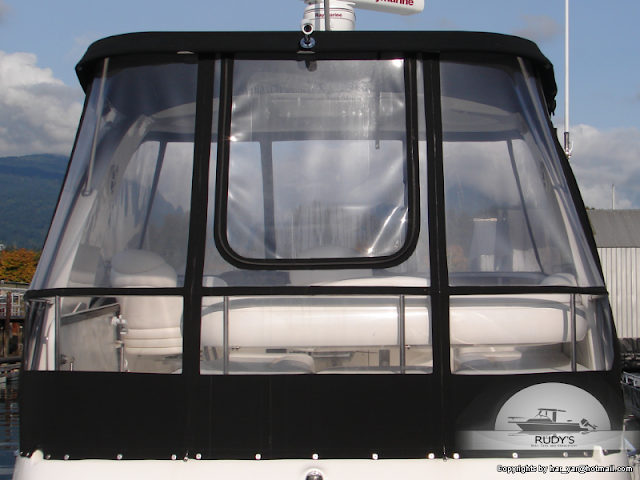 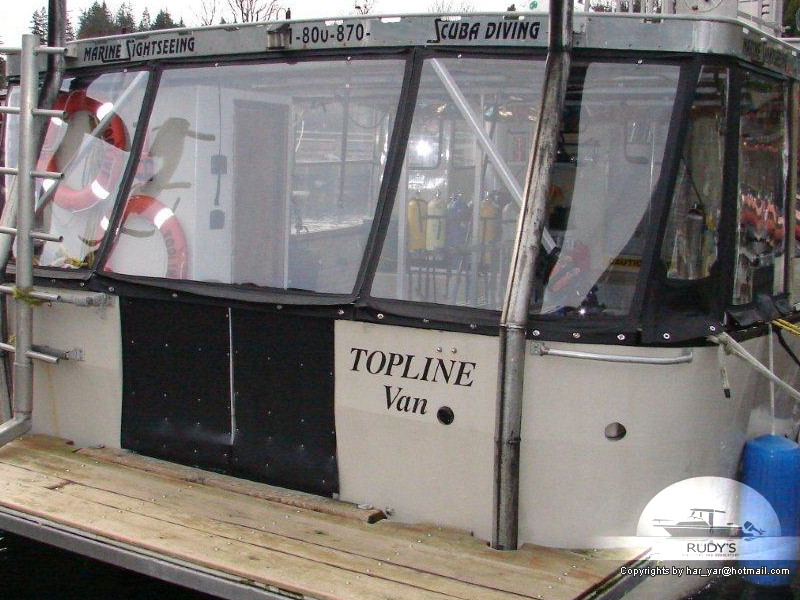 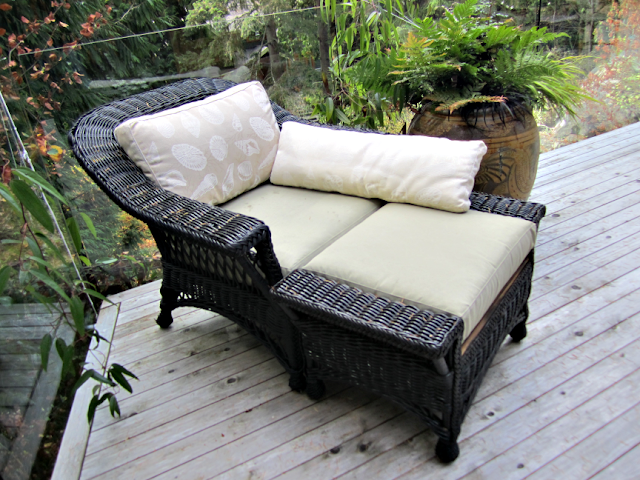 Custom Stern Upholstery in Outdoor Marine Vinyl. 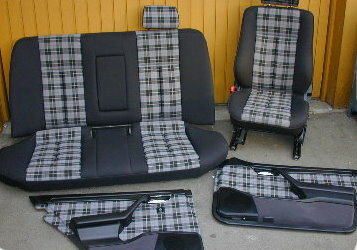 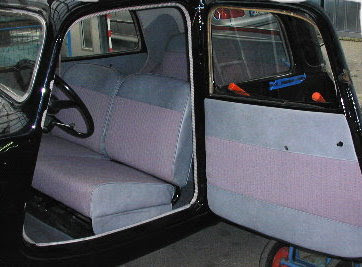 Classic Car interior (Seats; Sidepanels and Seals). 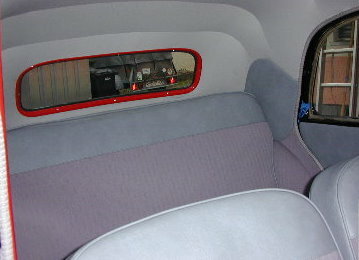 Back Seats in real Leather. 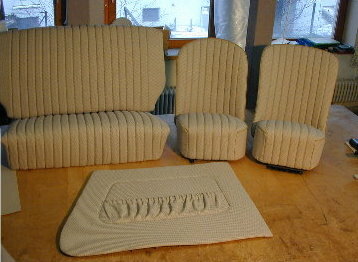 Kitchen Seating Area Upholstery in UltraLeather (TM). 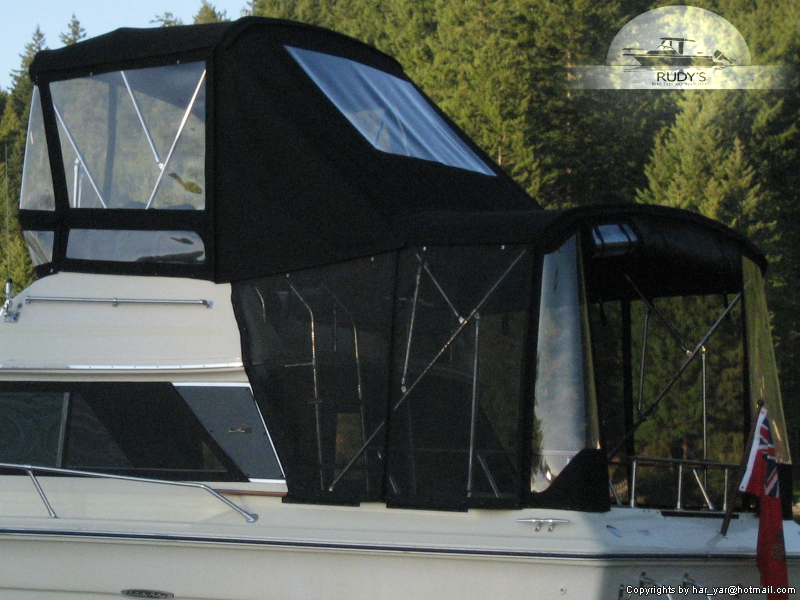 Custom Topgun Canvas with Strata Glass. 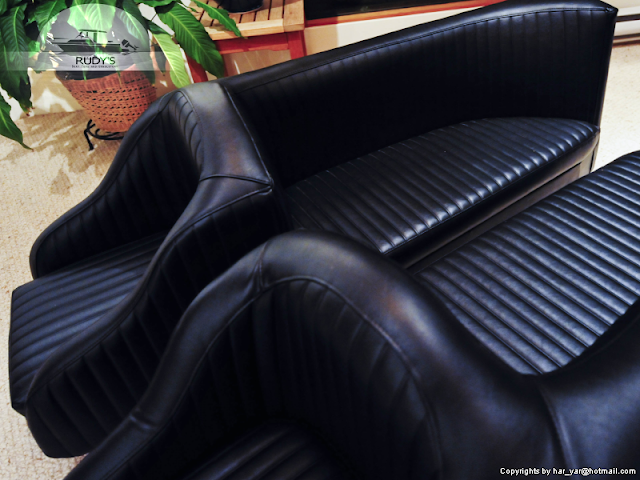 RV Upholstery in real Leather.